Apple DRM is a real play spoilt for people who own devices not just of Apple. You can't play video or audio which you have paid for unless you use an Apple product; sounds unfair. To help such people there are tools in the market which remove the DRM from files and converts it to formats that later you can use on Windows, Unix or Android devices. 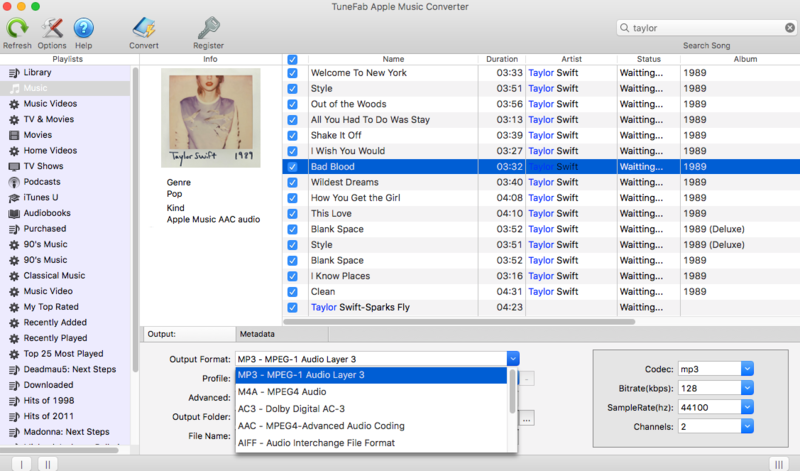 One just tool is TuneFab Apple music converter which can convert the DRM protected MP4, AA/AAX files to MP3, AC3, AIFF, FLAC, etc. 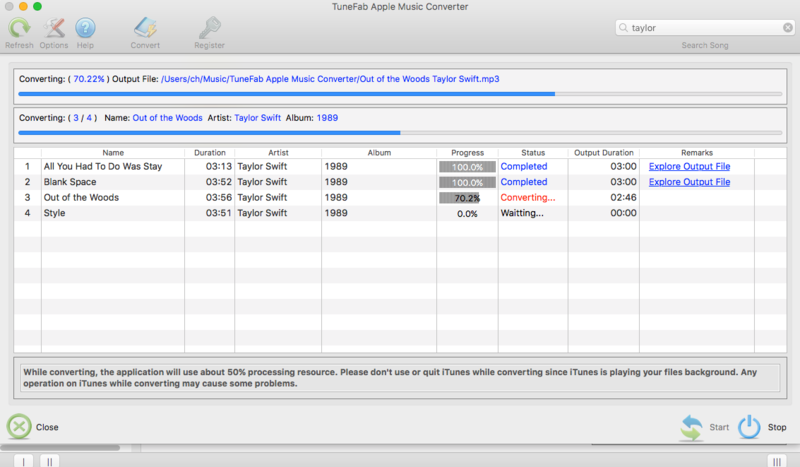 TuneFab is available for both Mac and Windows operating systems. There is a free trial version which you can download from their official website. The free version will convert only the first 3 minutes of the file. 3. Multiple files can be converted in one go. 1. If you plan to do the conversion in multiple output formats, you have to run conversion multiple times, you can't select output format for individual files. When you launch the software, all the files downloaded the iTunes library will be automatically loaded into the software interface. Select the songs which you can convert to MP3 and remove the DRM. If there are a lot of files make use of the search bar present in the top right section of the application. 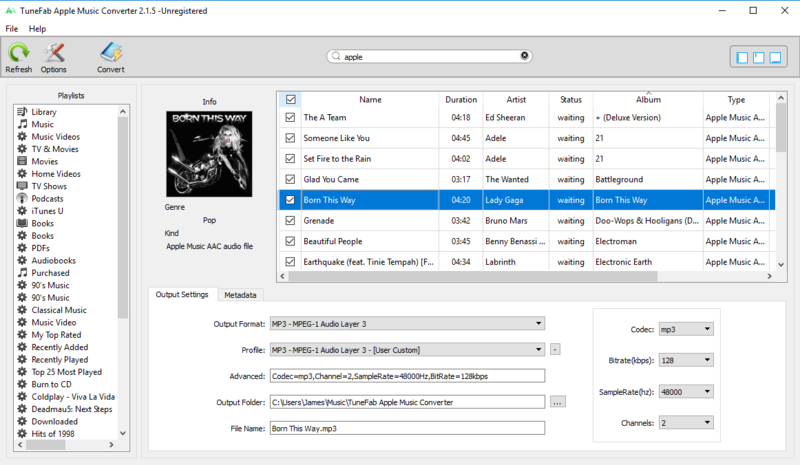 Optional - You can change the default values of the file Output format (MP3/AC3 etc. ), Output folder (where converted files will be saved), Codec/Channel/Sample rate and the Filename in case you don't want the file to be saved with the same name as before. Once you have selected all the files you want to convert, click on the Convert button to start the conversion. Make sure iTunes is open in the background and while the conversion process is running you are doing anything else on iTunes. That's all! The files are converted and stored in the Output folder that is mentioned in the bottom box of the application or you can also use the Explore Output files link mentioned alongside the converted files. File conversion of one music file is almost immediate, depending on the number of files it may take from a few seconds to several minutes.